If ease-of-use is the goal, the Nano automatic batteries have you covered. Each battery is puff activated, meaning you never have to press a single button! These unique Nano kits come complete with one automatic battery, one USB charger, and a convenient flat-tip cartridge. Nano kit’s simple operation and compact design make it a favorite amongst new vapers, while each battery’s unique design and advanced PCB ensure high-powered hits with every puff. I was using preloaded cartridges and hated how they always got clogged up before all of the liquid was used up. I switched to extract liquid and wanted something EASY! I found it. You found it! Automatic draw. Just puff. Nice cloud. Battery lasts me all month! It's so cheap that you really have to try it. You'll be a happy camper! 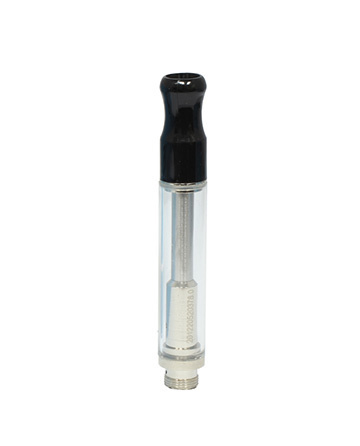 These specific cartridges, with the actual tiny wick that protrudes from the bottom of the clear cartridge, give the best, most thick and rich flavorful draw of any of the liquid based vape cartridges that I've tasted ... and I've tried about all the ones out there! These cartridges offer the truest-to-flavor smoke taste; always cool and flavor-able - never hot or burned-tasting. Love them; can't have enough spares on hand. Thank you, Atmos, for your ingenuity.